Whether they were born in the United States, have families that have been here for generations, or immigrated here themselves, Latinos can feel disconnected to the cultural part of their identities. By identifying what role music plays or seeing how much it matters in the Latinx community, we can strive to remedy those feelings of lost connections. By identifying how music plays a role in bridging people to their identities and strengthening that connection, we give way to the building of a space where Latinos can express their culture alongside the American one that is adopted; one culture need not overpower the other, just coexist. We were able to interview an MSU Advising Director, Erica Fiasky who is half Mexican and half Slovakian. Erica’s generation (between her cousins and herself) did not have the opportunity to learn much about their Mexican heritage. Her grandma brought her family to America in a time when being anything but White was looked down upon so her grandma made the decision to try to erase their heritage as best as she could so that the family would have its best chance of assimilating to American culture. She neglected to teach her children Spanish for this reason. Because of this, Erica turned to Latin music, especially Tejano, to fill the cultural void. It ended up helping her learn some Spanish, giving her the chance to be more connected to the culture she’d felt deprived of. 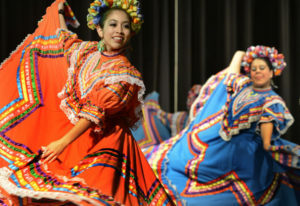 Although Erica connected to her culture through music, in the article “Music helps shape Latino identity in U.S.” by Cynthia Moreno, Jorge Andres Herrera says that when he began his undergraduate he noticed his Latino friends didn’t like to listen to Spanish music or at least would not admit to listening to it as if they were ashamed. It wasn’t until they would take the Chicano/Latino classes offered where they learned more about who they were, their culture, their history, and their roots; that’s where a dramatic change happen. “Herrera believes music helps shape Latino identity by empowering and helping those who have assimilated to mainstream music in the United States, reconnect with their true selves,”(Moreno). Here, Jorge Herrera and Erica Fiasky conclude similarly that it was music that brought that seemingly lost Latino culture to them as they lived among people that wanted to stifle it. Our interviews with 20 year old Michigan State sophomore Tony Torres, 20 year old freshman Roxanne “Roxy” Gonzales, and 19 year old freshman Eric Solis all revealed similar sentiments. Tony, a first generation Mexican-American, commented that though he identifies more with the American culture he was born and raised into, he still very strongly identifies with the Hispanic heritage that is strong in his family. Roxy and Eric agree that music has been a way for their two identities as Mexicans and Americans to coexist as they listen to music in Spanish and in English. The interviewees identified these top three genres as being the most prevalent in their lives: Tejano, Hip-Hop, and Reggaeton. Tejano is a Texan-American style of folk music created by Mexican-American people of Central and Southern Texas. Its sounds and traditions have deep roots in Mexico, but also has been tremendously influenced by Anglo-Americans, African-Americans and Czechs, Bohemians, and Moravians as well as the Germans and Italians immigrants (Schroer). Hip Hop was born in South Bronx, New York by Clive Campbell, a native of Jamaica. His earliest recorded instance of performing what we now call hip hop was a performance in which he implemented his own technique “breaking” records of his turn tables at a party for his sister (Blanchard). From there it quickly permeated inner city communities of color not only in the club scene, but as an art form of expression. 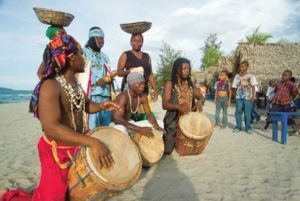 Through events such as rap battles where performers could showcase their ability to spontaneously make rhymes over the beat of the music playing, a skill that mark ancestral African influences on the modern day culture, “While rap’s history appears brief its relation to the African oral tradition, which provides rap with much of its current social significance, also roots rap in a long-standing history of oral historians, lyrical fetishism, and political advocacy,” (Blanchard). Reggaeton started in Panama in the 1970s. However, most of its creation is credited to Puerto Rico, despite not reaching the island territory until the 1990s. But once it did arrive, the local youth absorbed it very quickly. It is heavily influenced by the sounds of Jamaica, Latin America, hip-hop, and electronic music. Songs usually include rapping in Spanish and/or English and clever use of double-entendres. It is most popularly played in clubs. In this study, we employed the use of different scholarly journal articles and a dissertation by a student of University of California Santa Barbara to see what to look for and then to analyze our findings. The dissertation, “Latino Listening Cultures: Identity, Affect, and Resilient Music Practices”, written by Jose Anguiano neatly analyzes the role that Latin music plays in the lives of a diverse group of individuals in Southern California and how they use music to cope in their everyday lives. This study gets to the root of our research where it investigates how Chicano people of different ages, professions, and socio-economic backgrounds use their Latin music in similar fashions to help them identify themselves in America. “The Mexican custodians found, in Spanish-language radio, a late-night companion for their solitary job, an affirming connection to Mexico and a way to literally claim space through music. A survey of 275 undergraduate Latinos revealed that listening to music on digital music players functioned as a sonic refuge for coping with stress, a minority status on campus, as well as a portable sonic archive of ethnic identity,” (Anguiano). With Anguiano’s conclusion, we expected to come across similar findings among a similar demographic of students. Both Roxanne and Monique, the co-author of this study, report using music as a way to feel closer to home while they are so far away from it. “Music Helps Shape Latino Identity” by Cynthia Moreno highlights key points on how music has helped shape Latinx identity in the United States, while they are also trying to adapt to American culture. The author uses real life experiences as platforms to explain what impact music has on Latinx friends and themselves noting that Latinx music is a constant reminder of Latinx culture, shedding a positive light on their cultural movement throughout the United States. After conducting this study, we believe that schools and universities, starting with Michigan State University can implement simple changes to make campus environments more conducive to the expression of other cultures. Michigan State proudly awards itself highly for its diversity is not doing enough to celebrate that. They can start this process just by including different kinds of music in their large scale events such as proms, homecomings, sporting events, and the radio station. If MSU wants to celebrate having a Latinx presence and let the community know that for those who identify as Latino-American/ Hispanic-American are in fact seen as American, then one way to make them aware of that is by saying “We see you are here and you are celebrated as well” by throwing in a few tunes. This is not an admission proclaiming that the radio station should only play Latin music or that sporting events should always be in Spanish, just that if the football game is going to have hip hop, throw in a couple hip hop songs in Spanish. This is not limited to just Latin music either. Asian/ Asian-American, Eastern European/ Eastern-European American, and other marginalized groups should have this opportunity as well. 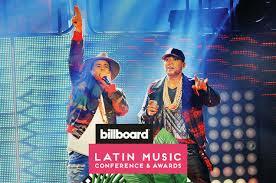 Below we have posted some examples of how America/Latino pop and hip hop can and have been coexisting.